A truly classic flavor combination. 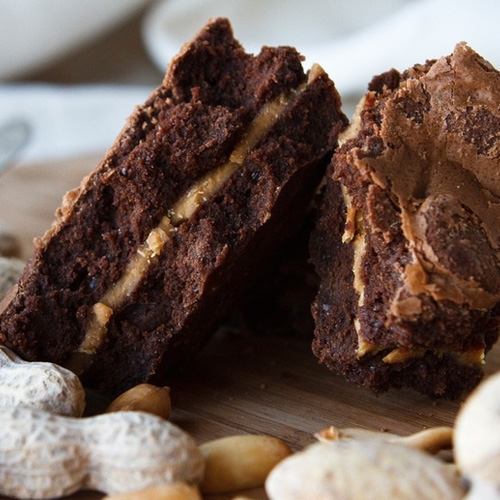 The peanut butter brownie is the brownie equivalent of a chocolate-peanut butter cup….and who doesn’t love a peanut butter cup? A layer of creamy all natural peanut butter runs through the middle of this rich chocolate creation.